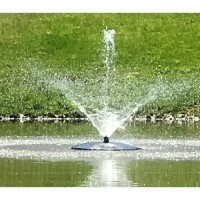 Kasco Marines 3400VFX .75 hp Floating Aerating Fountain or Decorative Fountain Aerator is great for small to medium sized ponds. The 3400VFX is a Kasco mainstay. The classic Kasco V fountain pattern n..
BOBOO presents the new Solar fountain pump, Constructed by the efficient solar panels and high-power pump composition, The solar panels are made of high-quality polysilicon, They start and charge fast..
MULTIPURPOSE FLOATING FOUNTAINThe Custom Pro 10,000 Gallon Per Hour Floating Water Fountain beautifies and aerates ponds and lakes. 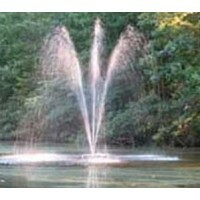 This stunning and energy efficient decorative fountain is designed t..
FOUNTAIN SPRAY IS ABOUT 8 BY 6 FEETThe Custom Pro 3000 Floating Pond Fountain / Aerator produces a beautiful and entertaining focal point. 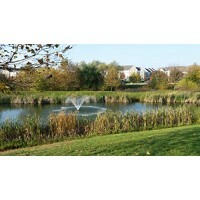 It is suitable for ponds at least 15 feet wide. The included ..
FOUNTAIN SPRAY IS ABOUT 10 BY 8 FEETThe Custom Pro 6000 Floating Pond Fountain / Aerator produces a beautiful and entertaining focal point. 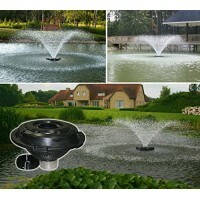 It is suitable for ponds at least 15 feet wide. 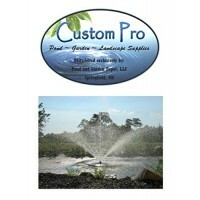 The included..
EVERYTHING INCLUDEDCustom Pro FT 1900 Floating Pond and Lake Fountain is a complete kit. 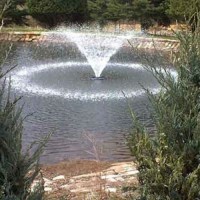 It includes a 1900gph water pump with a 50 foot long electrical cord, filter basket, 27 inch float, three fount..
EVERYTHING INCLUDEDThe Custom Pro FT 3500 Floating Pond and Lake Fountain is a complete kit. It includes a 3500gph water pump with a 100 foot long electrical cord, steel filter basket, heavy duty floa..
EVERYTHING INCLUDEDThe Custom Pro FT 6000 Floating Pond and Lake Fountain is a complete kit. It includes a 6000gph water pump with a 100 foot long electrical cord, steel filter basket, heavy duty floa.. 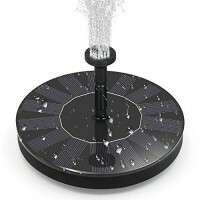 Solar Fountain consists of a high-efficiency solar panel and a new brushless pump. 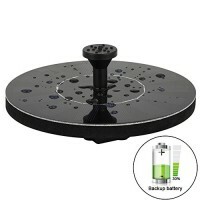 Hiluckey solar fountain pump is a good part of your basin, attracting birds to bring your garden to life.Frosting and.. 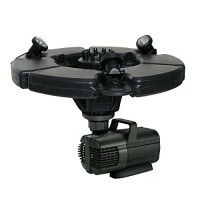 The 3/4 hp - 3400VFX floating aerating fountain is a classic design perfect for a wide variety of applications. 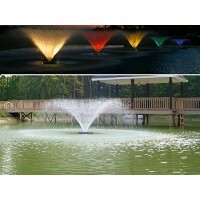 The classic Kasco "V" pattern will improve the water quality and aesthetics of any pond ..
Kasco's xStream Decorative Fountain is an exciting and unique fountain that allows for quick and easy customization. Simply by plugging or unplugging (plugs included) the various holes in the nozzle ..
Kasco Marine proudly presents the popular 3400JF model. 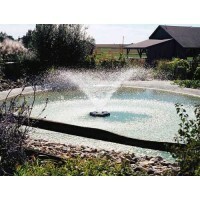 It is great for medium size ponds and when multiple fountain patterns are desired. It comes standard with 5 changeable nozzles give you 5 FOUNTA..
Kasco VFX Series Aerating Fountains set the standard by which all aerating fountains are measured. This is the 3/4 HP unit. VFX fountains will deliver both superior aerating performance as well as an ..
Kasco Marine proudly introduces the new 4400JF model. This highly requested unit is perfect for medium size ponds and when multiple fountain patterns and pattern height are desired. It includes 5 inte.. Designed to provide optimum performance and a stunning display for large ponds, Kasco's 5.1VFX (Single phase) expands the proven VFX line into a 5 HP model. 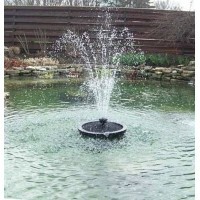 The classic Kasco "V" fountain pattern, 9' ..
Kasco's 8400JFL decorative fountains are the perfect way to beautify any mid-to-large size pond or lake. This versatile fountain comes with six interchangeable nozzle heads giving you the option to ch..
Kasco's 3400JF decorative fountains are the perfect way to beautify any pond or lake. 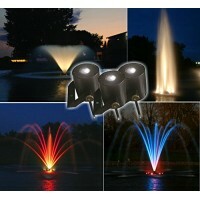 This versatile fountain comes with five interchangeable nozzle heads giving you the option to choose and change th.. 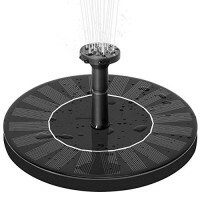 Built for use with Little Giant's multi-functional aeration and fountain system, this conversion kit transforms the aerator into an attractive fountain display. 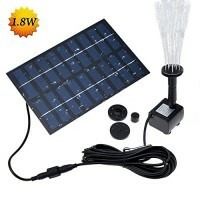 Contains pump head, nozzle stem, and So..
LUXJET 1.5W solar fountain pump with battery backup is a great choice to attract the birds to bring your garden vitality. 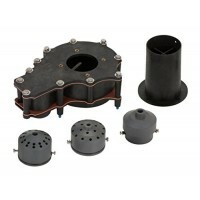 LUXJET solar birdbath pump is made up of highly efficient solar panel and new .. IDEAL DECORThe OASE Model 45393 1/2 HP Floating Fountain with Lights is perfect as an enduring focal point or the centerpiece of a special gathering. Install it in a pond, water garden or lake. This c..
AquaticaPlus.com is a participant in the Amazon Services LLC Associates USA Program, an American-based affiliate advertising program designed to provide a means for sites to earn advertising fees by advertising and linking to the Amazon.om marketplace. Some product description, photographs and reviews and other various content that appears on this website comes from Amazon Services LLC. This content is Provided 'AS IS' and is subject to change or removal at any time.